The Holy Consecration of a Church is a sacred event that will happen only once in the history of our Church community. Consecration is a holy service where the Church is set apart to be “in the world, but not of the world,” dedicated to God. These ceremonies and prayers date back to the Holy Tabernacle of Moses and then the Holy Temple of Jerusalem. The hymns teach us its meaning. Be renewed, be renewed, O New Jerusalem, because your light has shown, and the glory of the Lord has come upon you. This house has been founded by the Father, this house has been made firm by the Son, this house has been renewed by the Holy Spirit, which illumines and supports, and hallows our souls. In early times, while the temple was consecrated, Solomon offered to the Lord sacrifices of animals and holocausts. When you were pleased in us O Savior, to forgo the formalities and let the truth be known, the whole world offers to You the bloodless sacrifices [on Your altar], to Your glory, because You are the Lord of all things and make everything holy through Your Holy Spirit. What is it to make holy and to become holy? It is salvation. What is salvation for an Orthodox Christian? For an Orthodox Christian salvation is union with Christ, through His Holy Spirit. This union with Christ is called the “Life in Christ”. The center of this “Life in Christ” is the Holy Altar, as well as the services which are related to it, i.e. the Seven Sacraments. Because the Holy Altar is so important in the life of an Orthodox Christian, the service of Consecration centers on the Holy Altar Table. In simple terms the Consecration Service is the Baptism and Chrismation of the Church. The Consecration of the Church begins on the Eve of the celebration with a short Prayer Service (vespers) honoring the memory of Martyrs. This vespers will be on Friday evening, October 26, 2018. Before the Consecration Service begins, all Articles on the Altar Table are removed, and the Altar is left uncovered with nothing on it. When the Bishop enters the Church he will bring with him the relics of three Saints. These relics will be placed on a Paten (Diskarion), which will remain on the Altar Table overnight, together with a Vigil Light. v First, on the morning of Saturday, October 27, 2018, there will be three processions around the church, setting the church apart from the world. 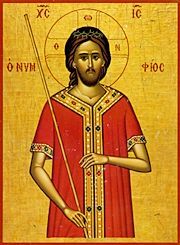 v Second, the Metropolitan will command the doors to be opened “that the King of Glory may enter,” and Holy Relics of three martyrs will be taken into the Holy Altar.